Parents today are ready for a change in healthcare. Rising concerns of the adverse effects drugs have on their children are leading parents toward choosing healthier options. Kids Chiropractic care is one such option. As children experience their world through learning to crawl or walk, participating in sports, or starting school and carrying a backpack, their growing spines are subjected to tremendous amounts of stress. Many times, the spinal problems we see in adults can be traced back to a childhood fall, injury, or poor posture habits resulting from carrying backpacks or musical instruments or spending endless hours at a television or computer screen. By looking at the body as a whole and addressing nutritional, physical and emotional stressors, chiropractic helps kids reach their optimal health and foster a lifetime of healthy habits.Kids Chiropractic care is a safe, gentle and effective way to help kids be at their very best. Also, new research confirms that Chiropractic Care is safe and effective for Children. Learn more by clicking here! 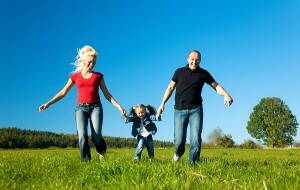 For more information on pediatric chiropractic visit www.icpa4kids.org.